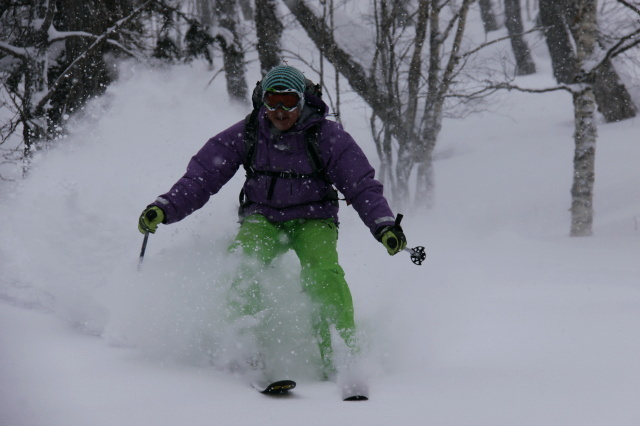 This is Yukinoco Backcountry Tour's web log books. 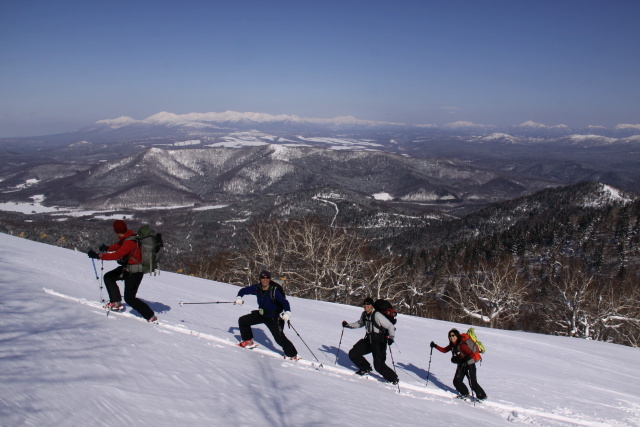 The foreign guests are not many. 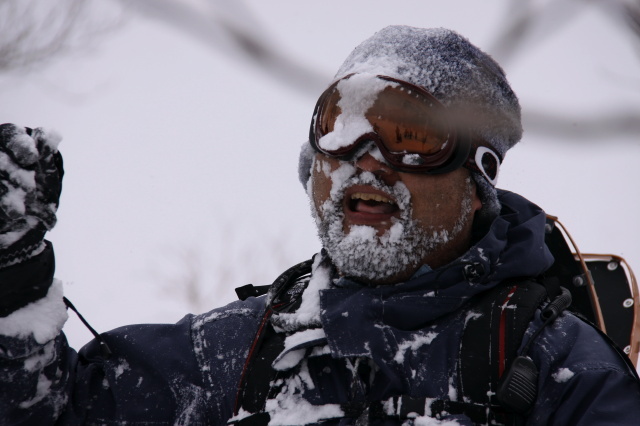 Because There is no English website. 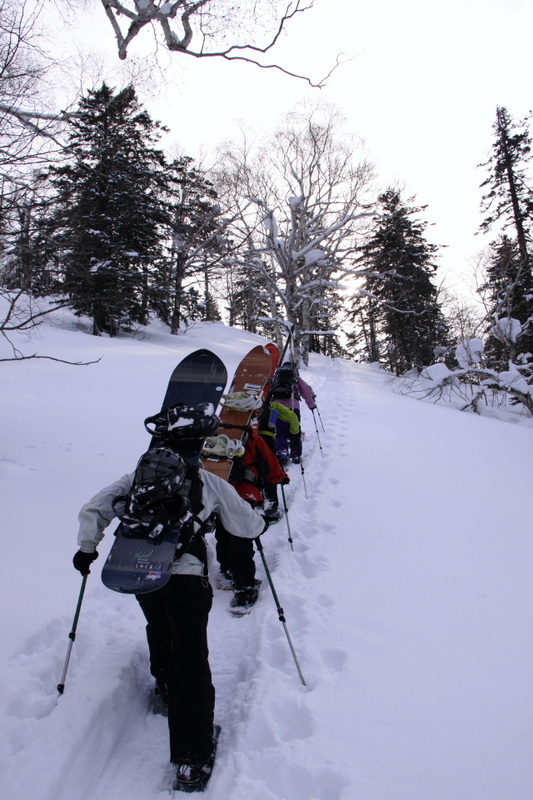 Are going to make ahead. 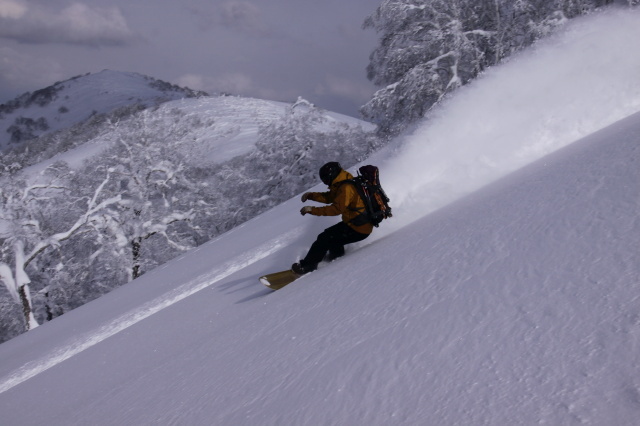 He came from Australia. 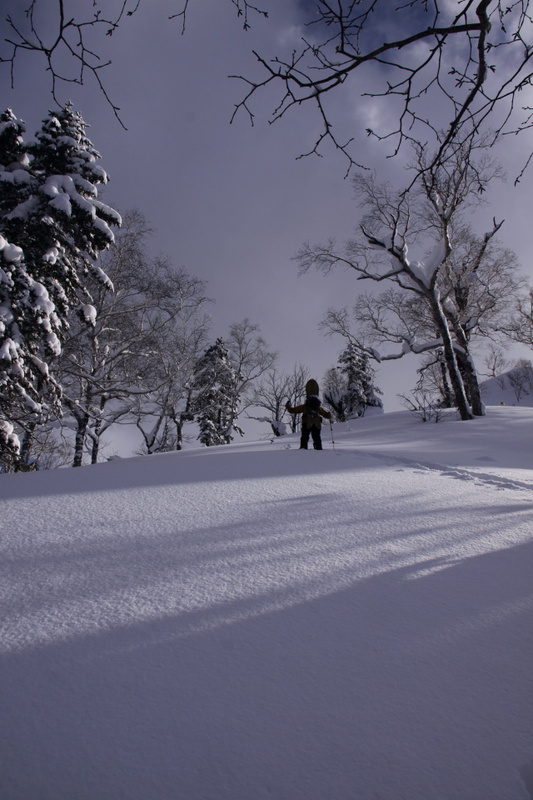 Summer vacation now. 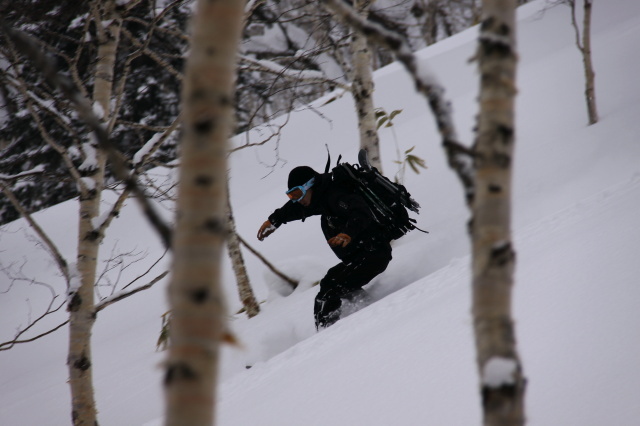 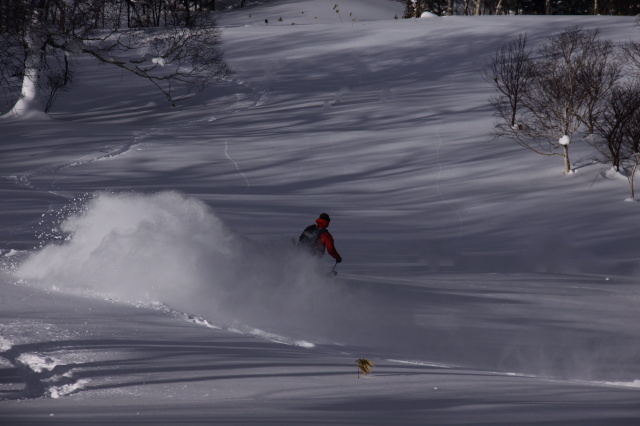 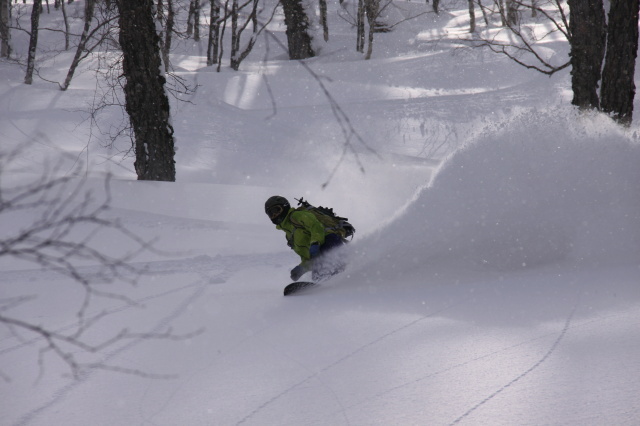 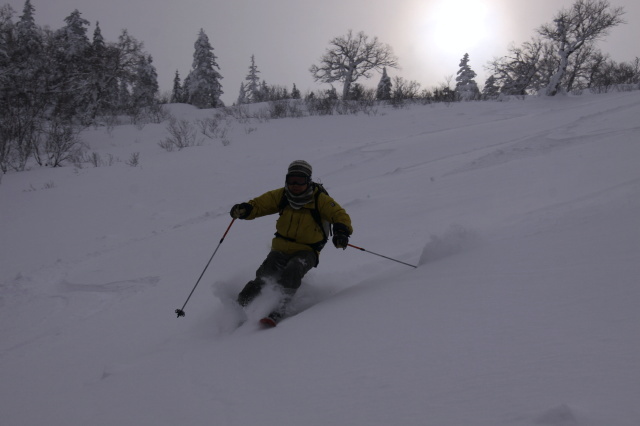 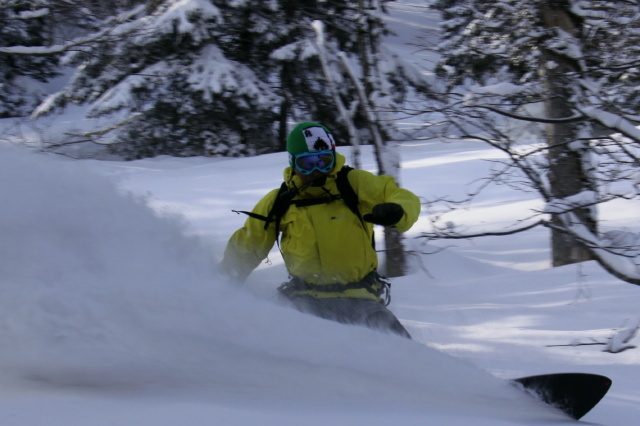 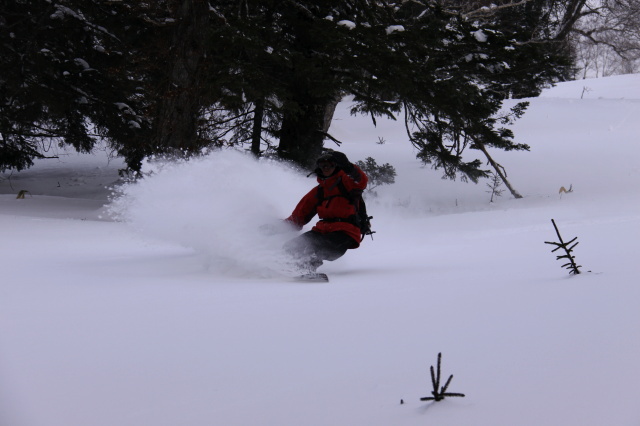 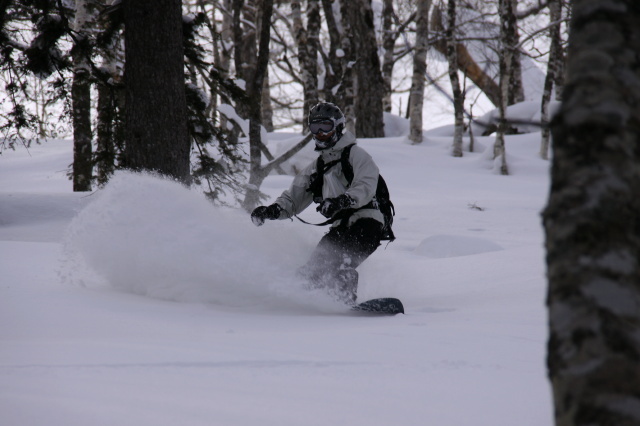 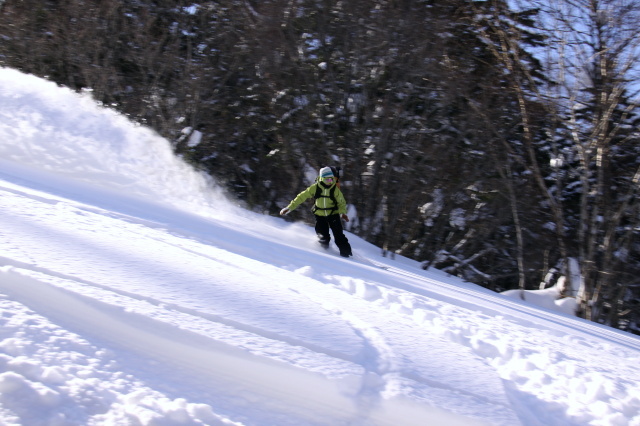 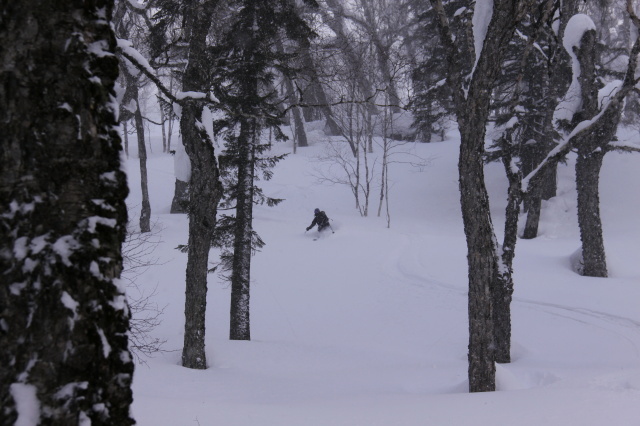 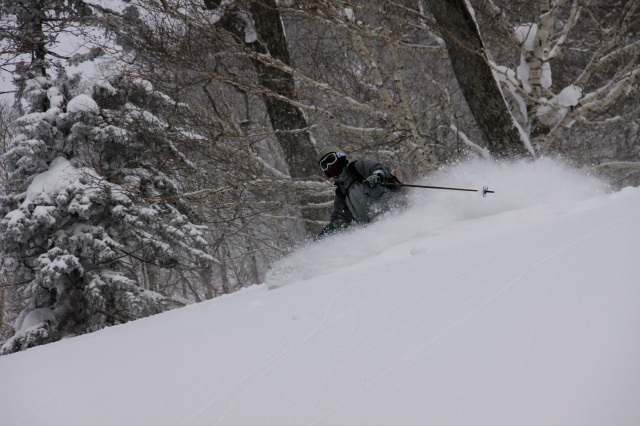 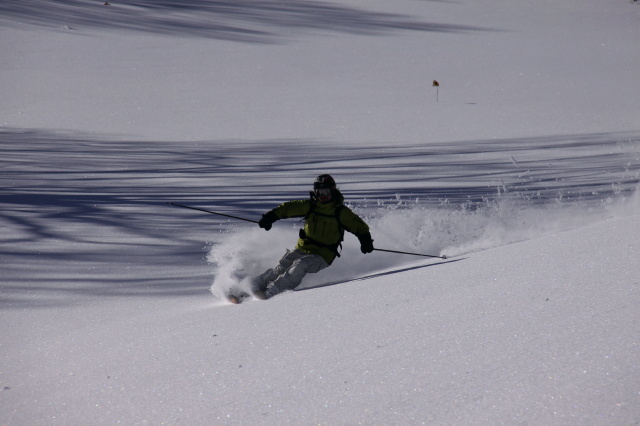 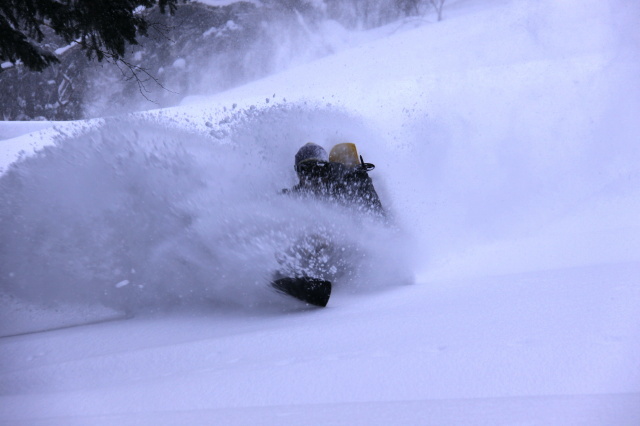 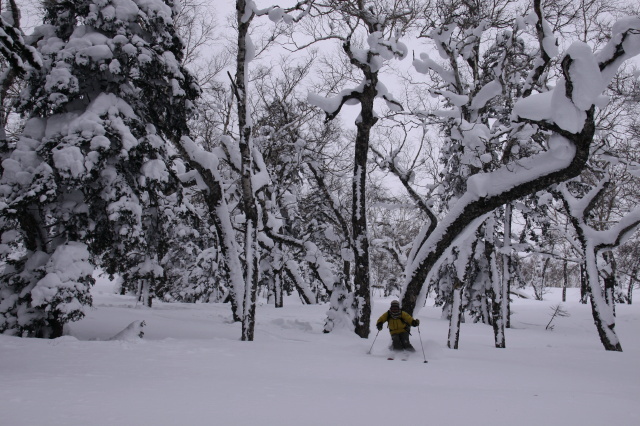 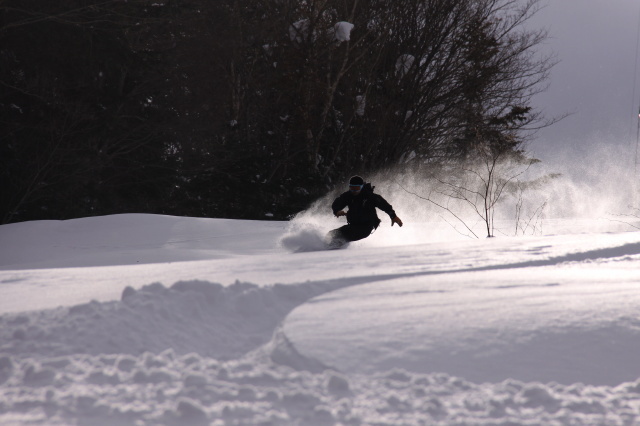 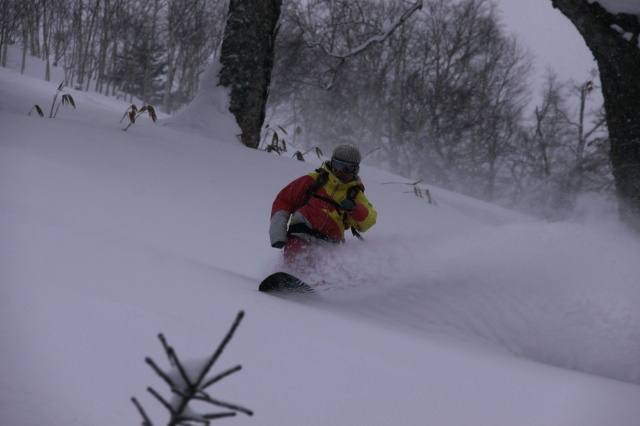 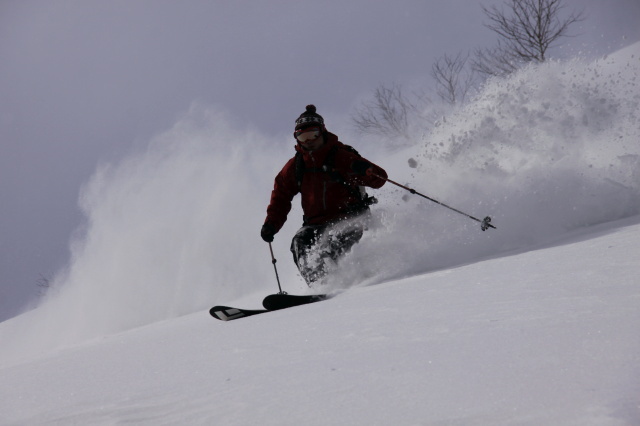 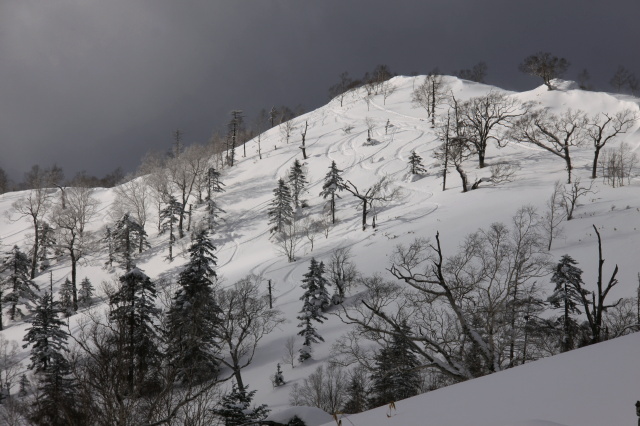 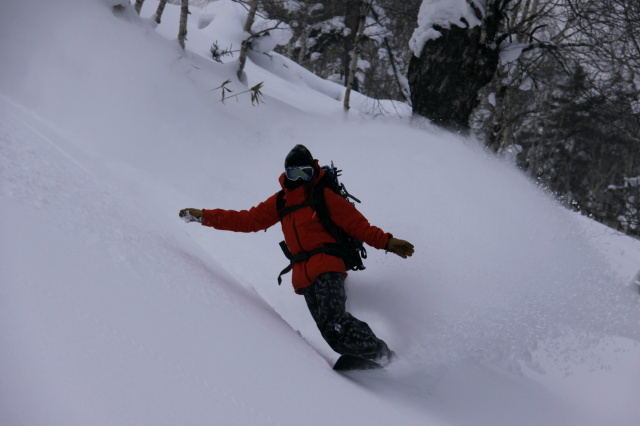 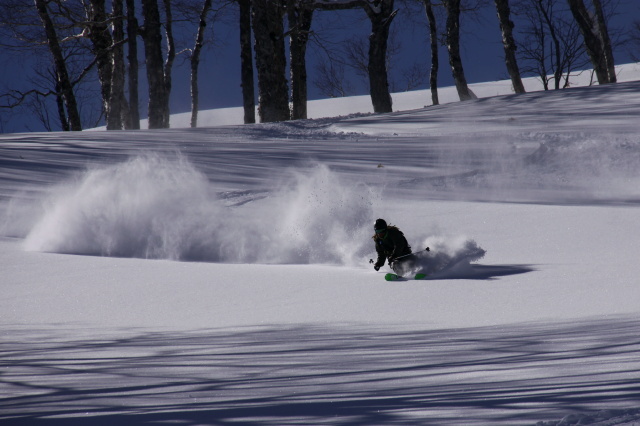 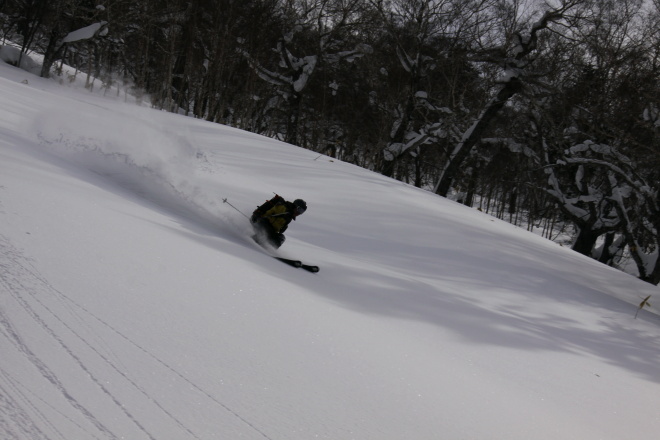 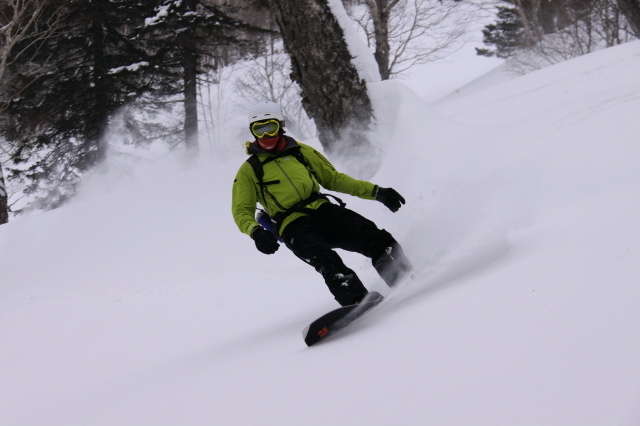 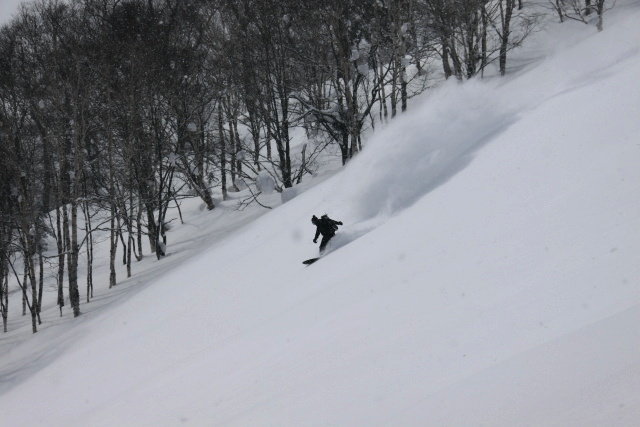 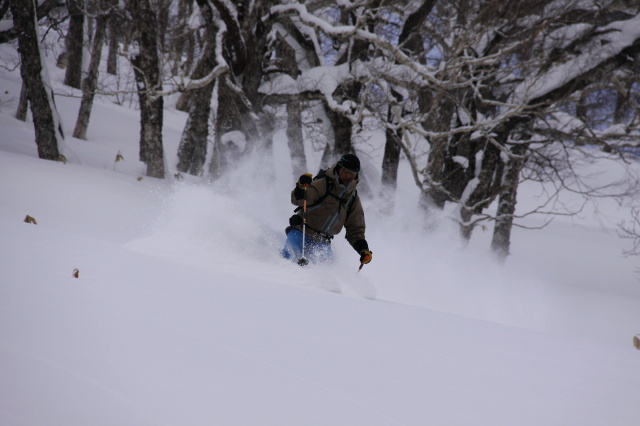 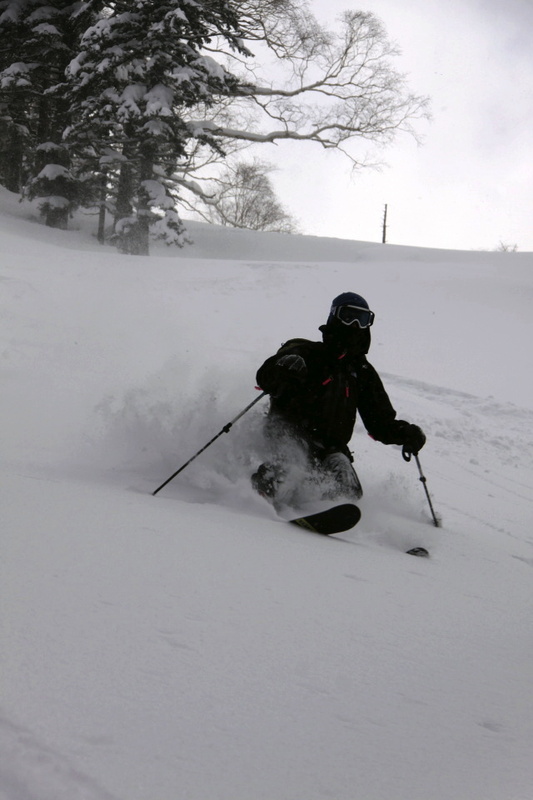 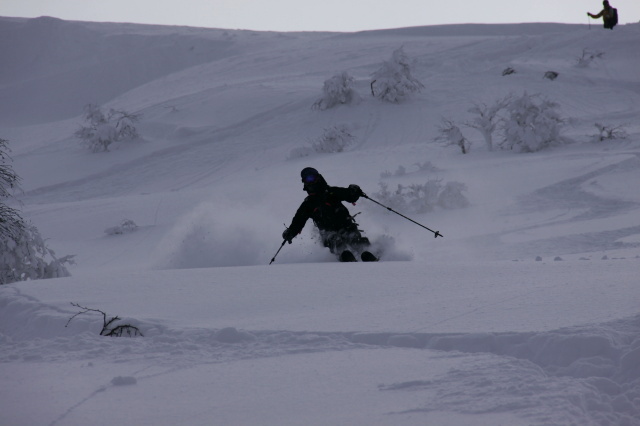 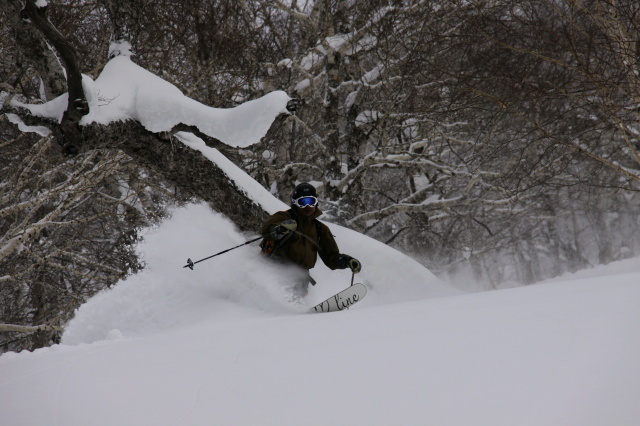 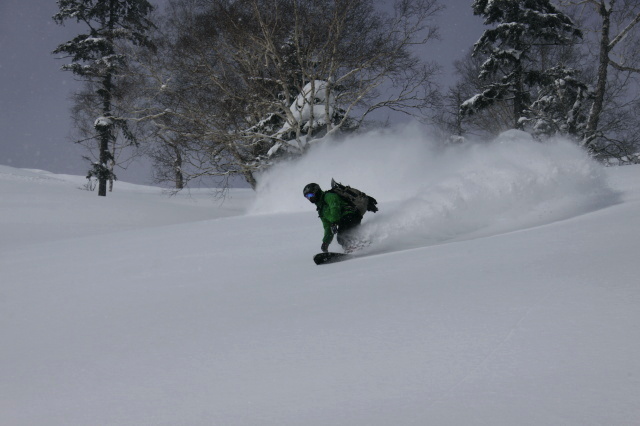 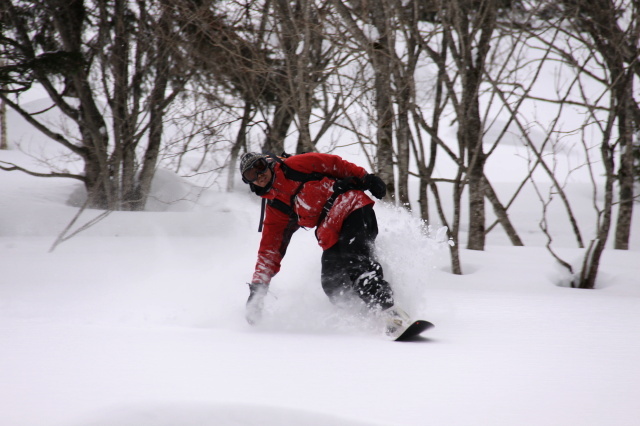 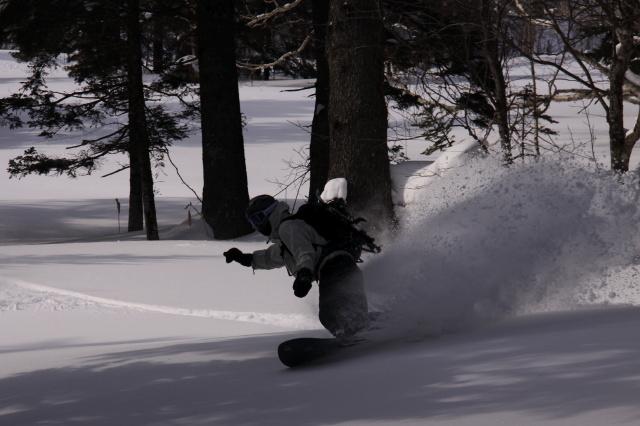 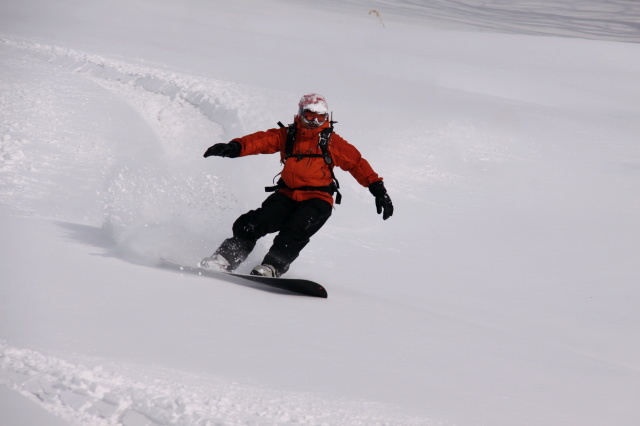 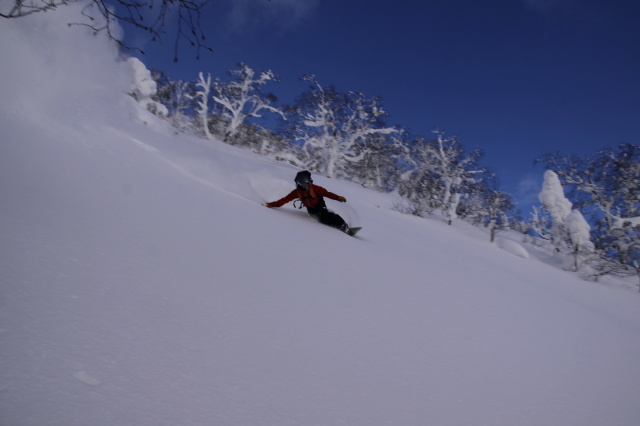 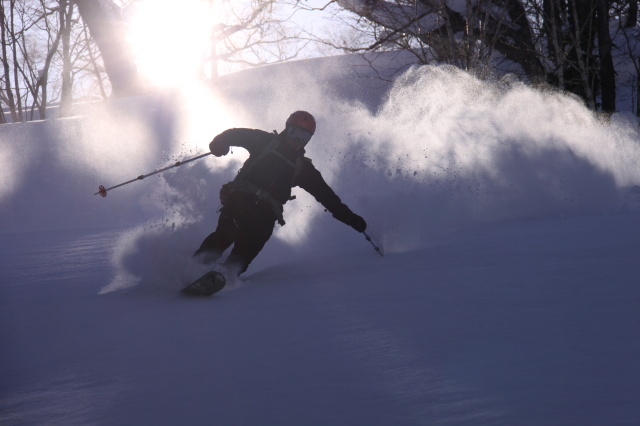 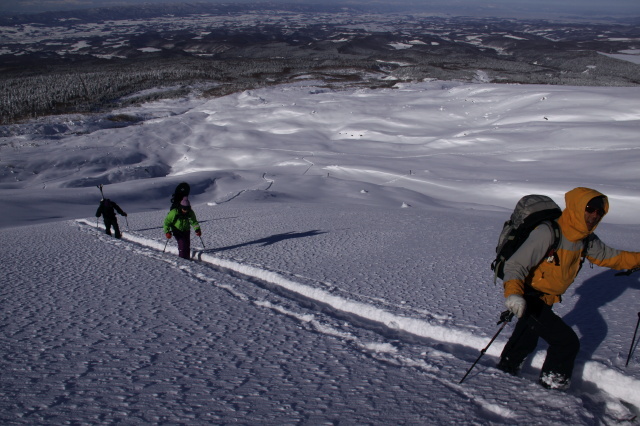 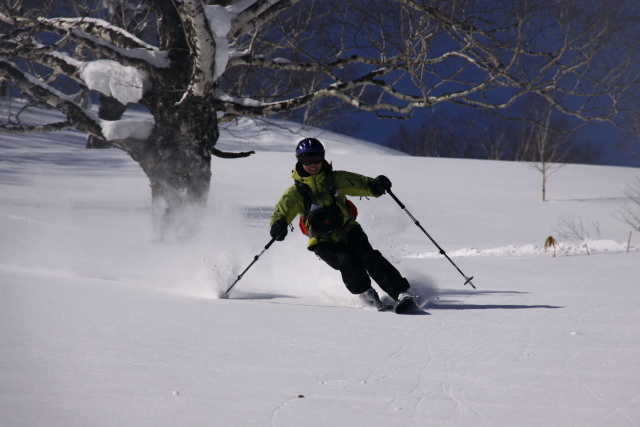 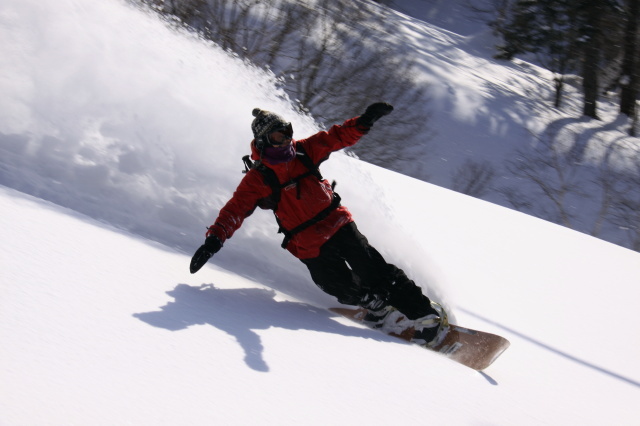 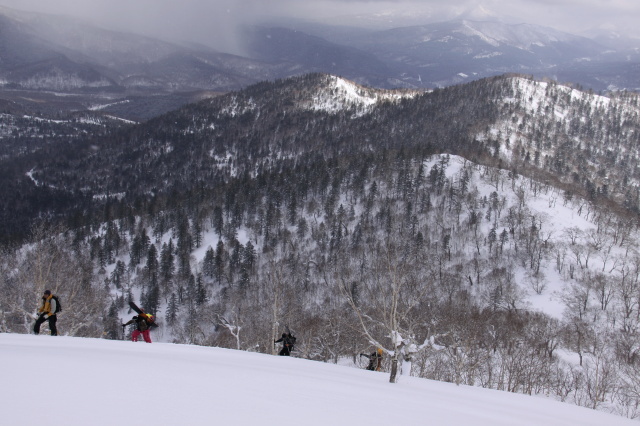 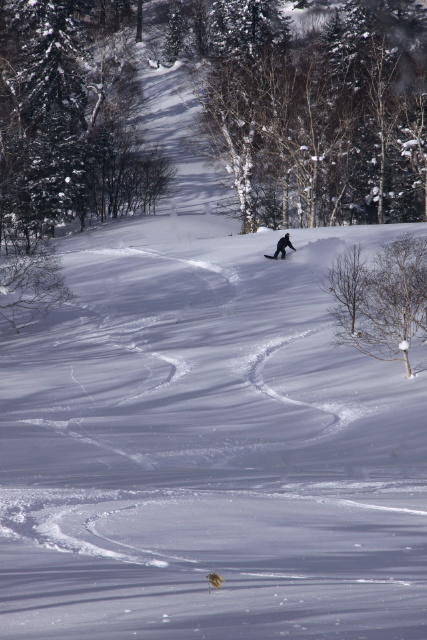 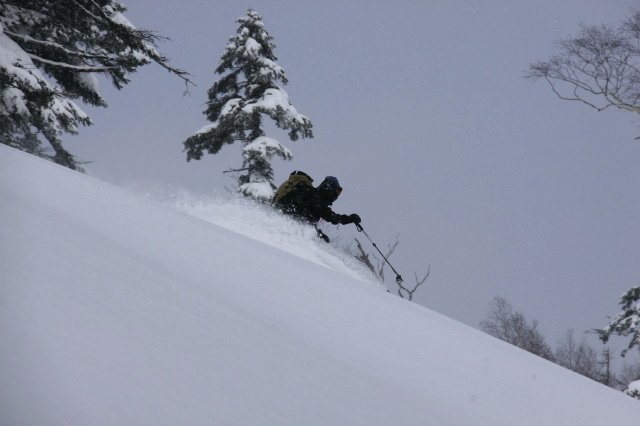 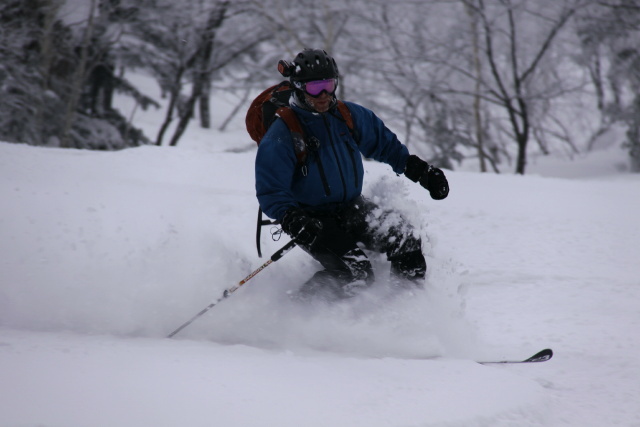 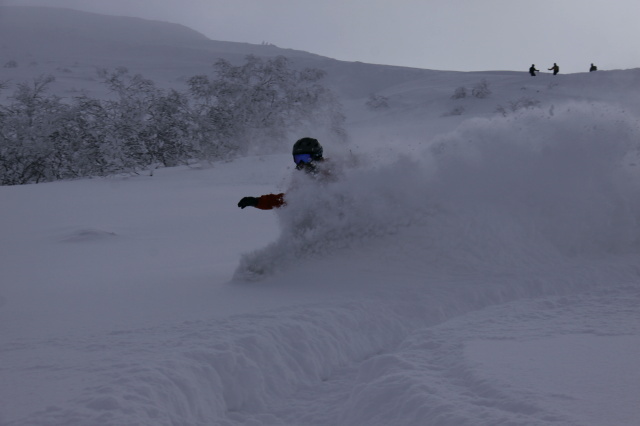 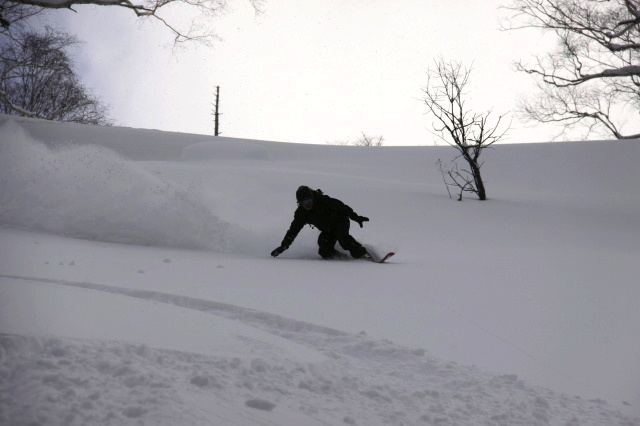 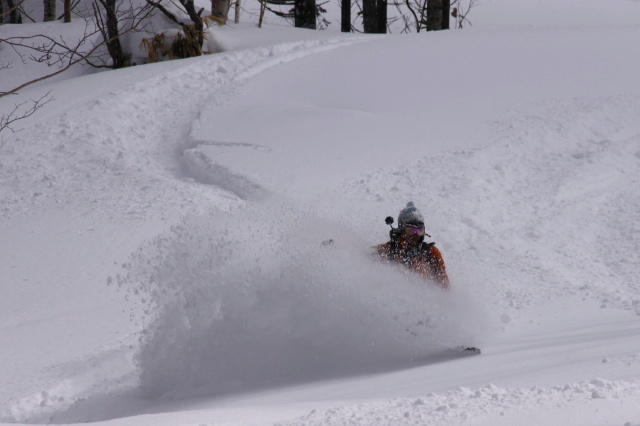 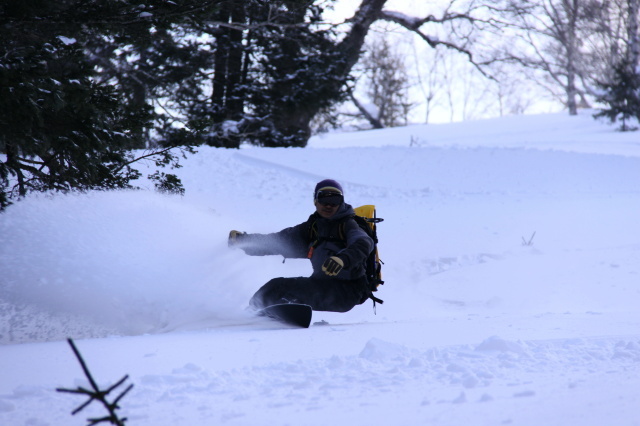 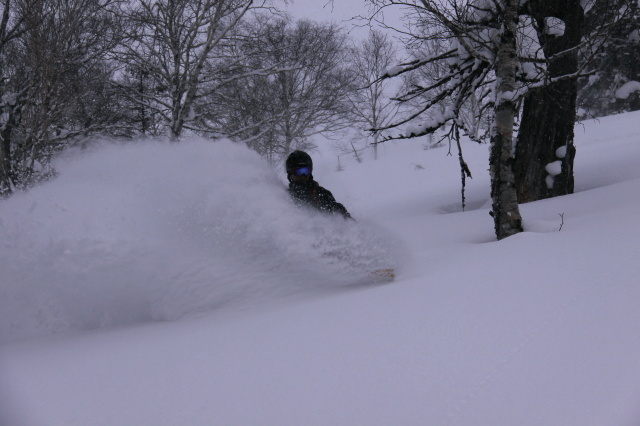 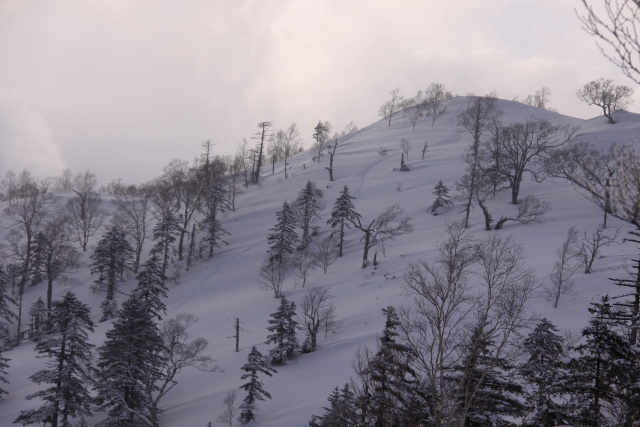 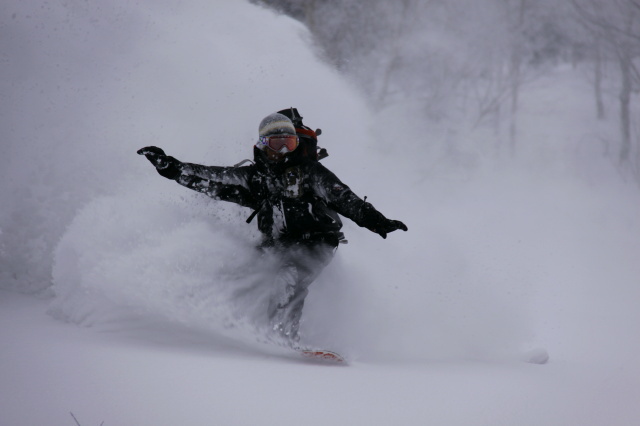 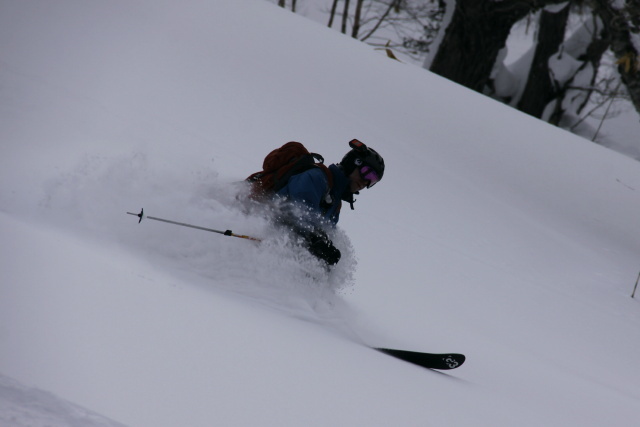 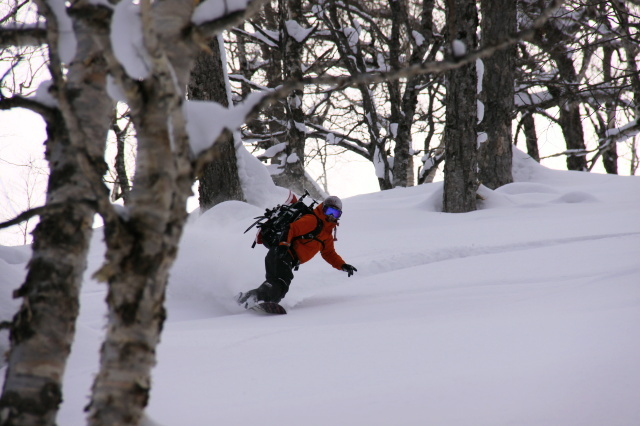 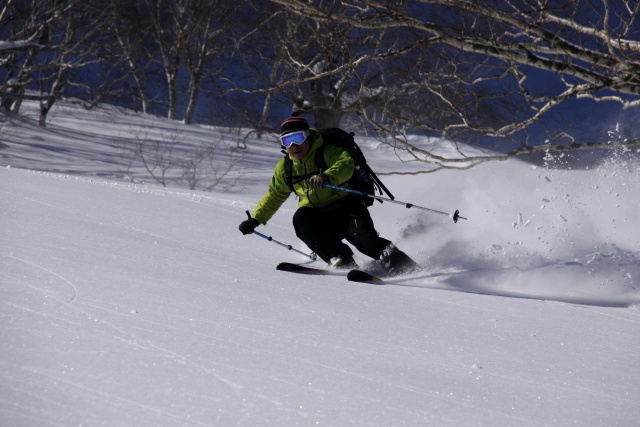 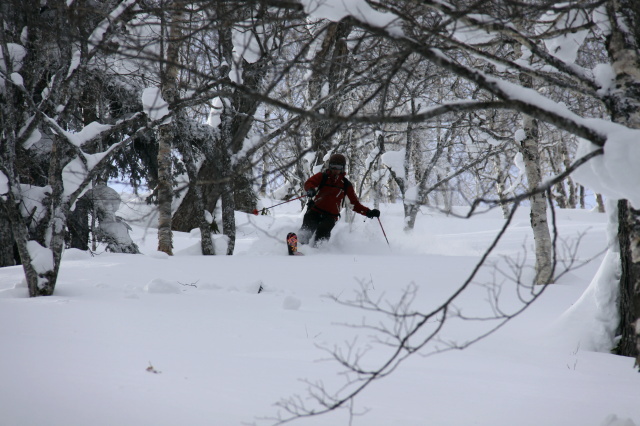 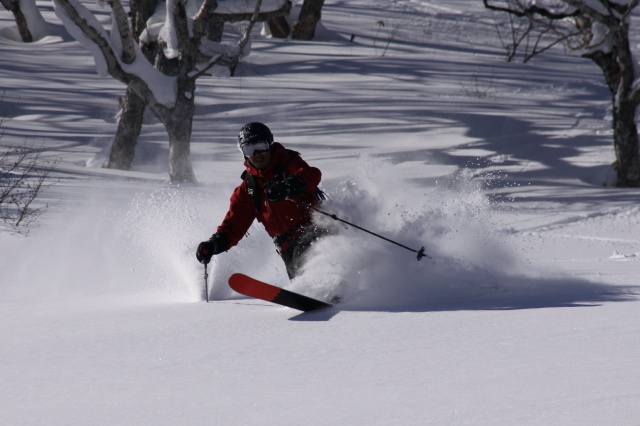 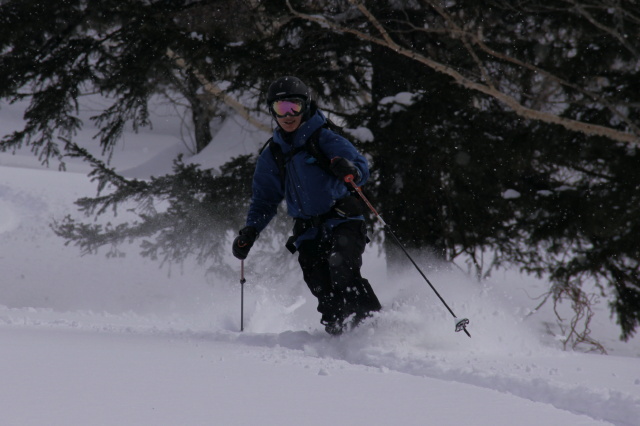 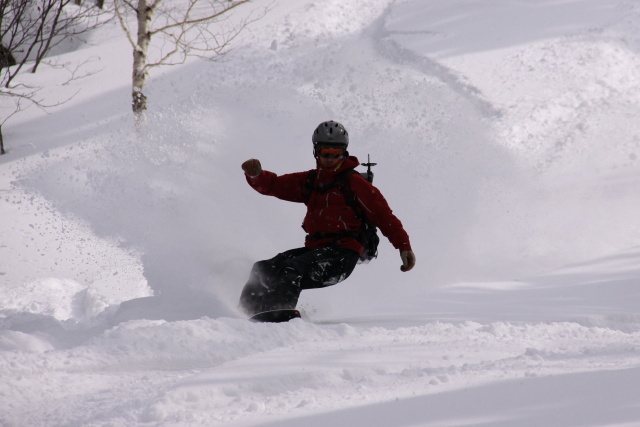 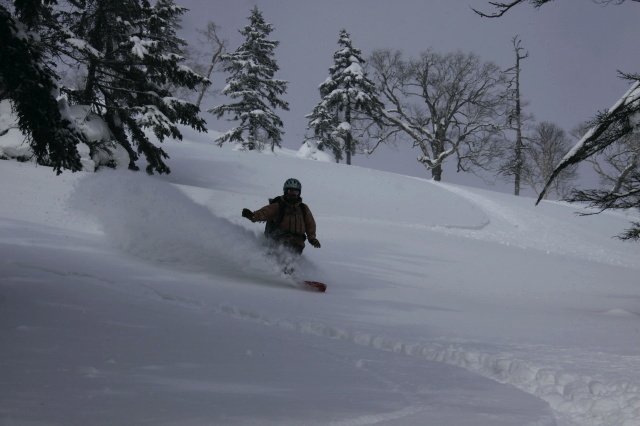 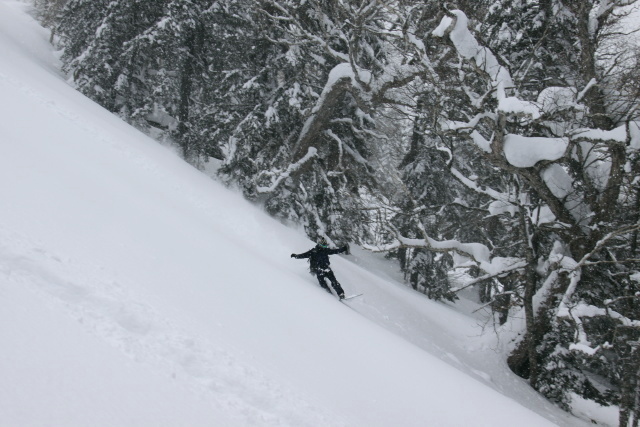 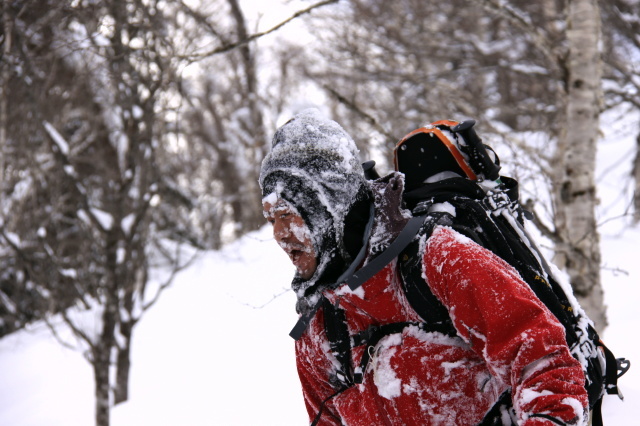 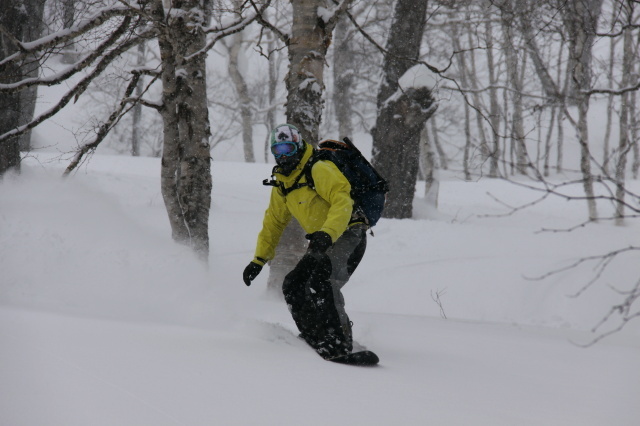 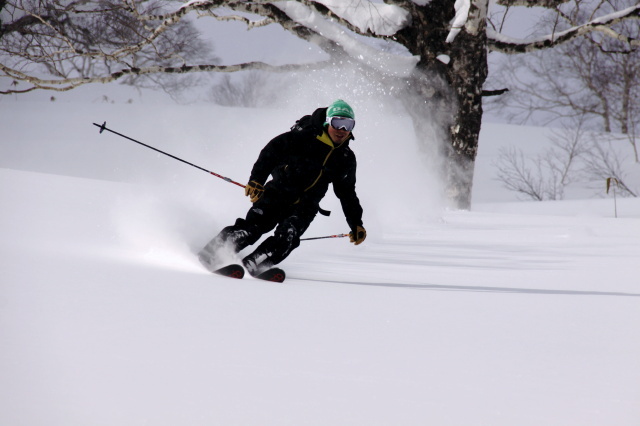 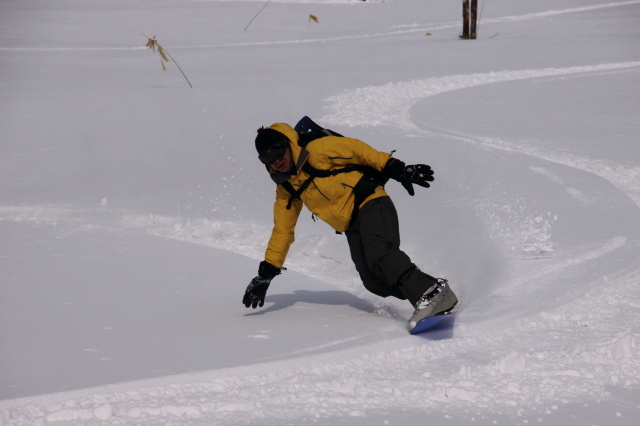 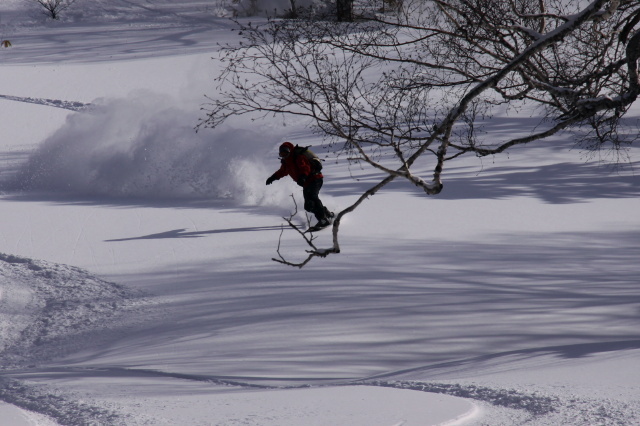 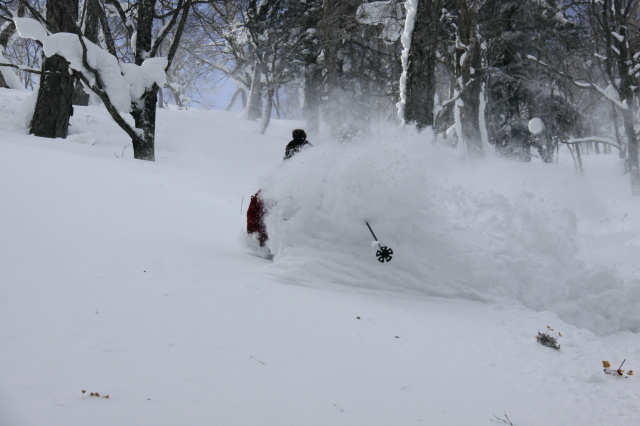 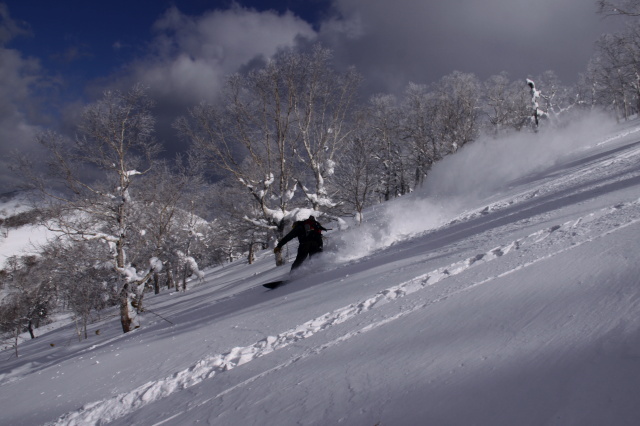 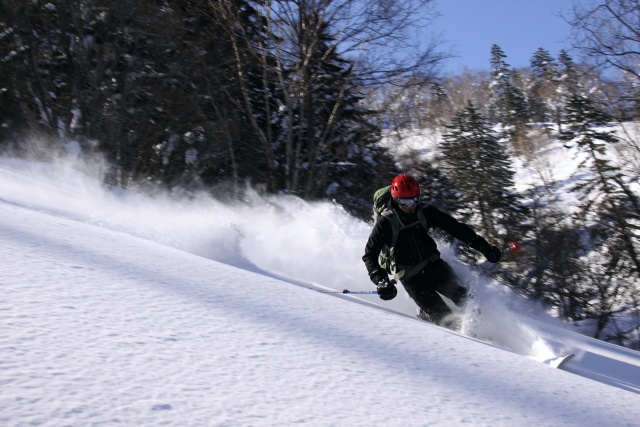 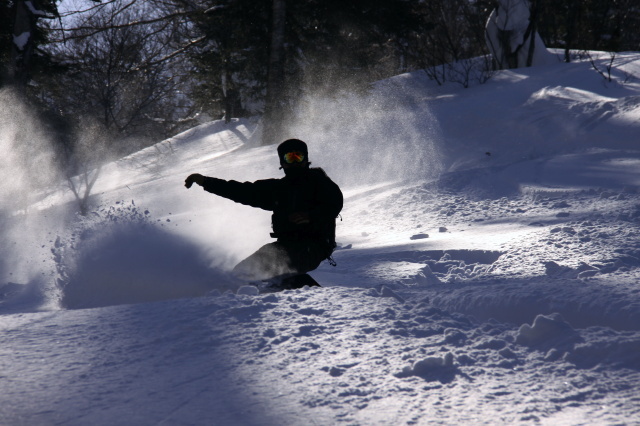 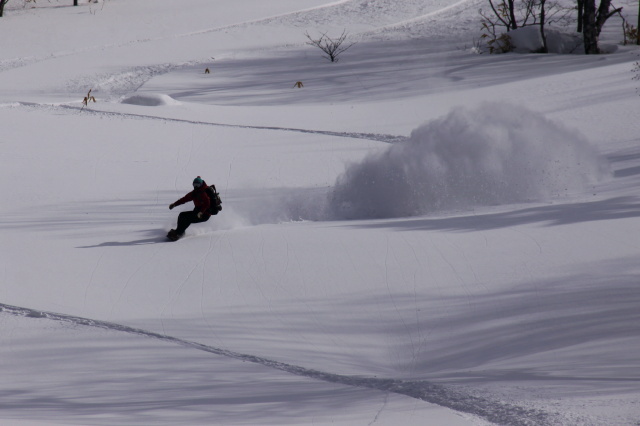 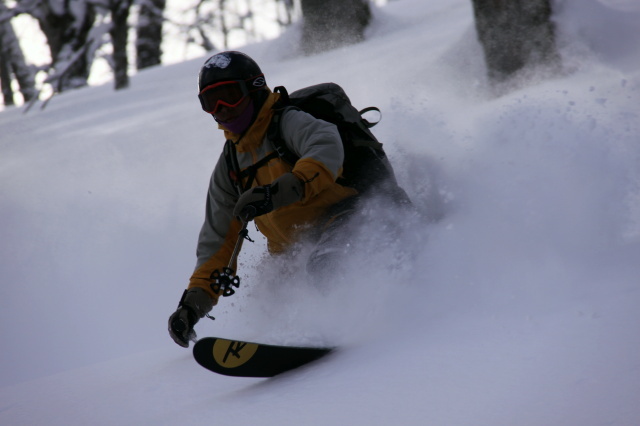 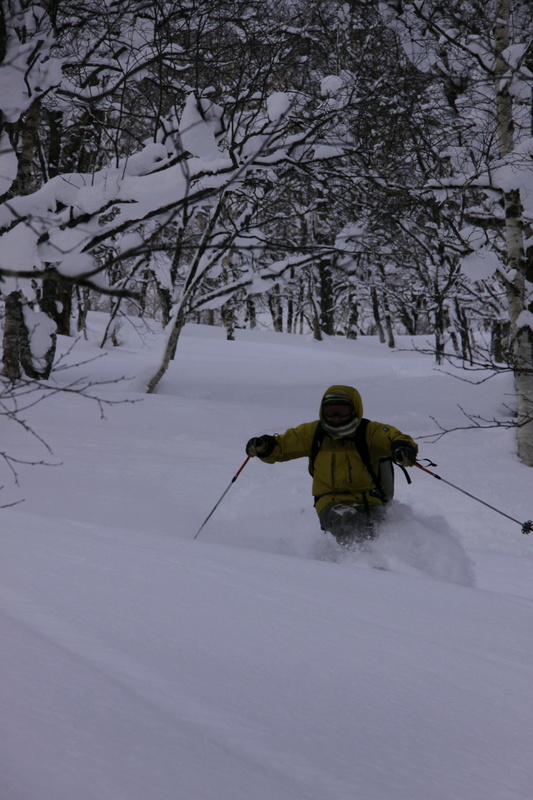 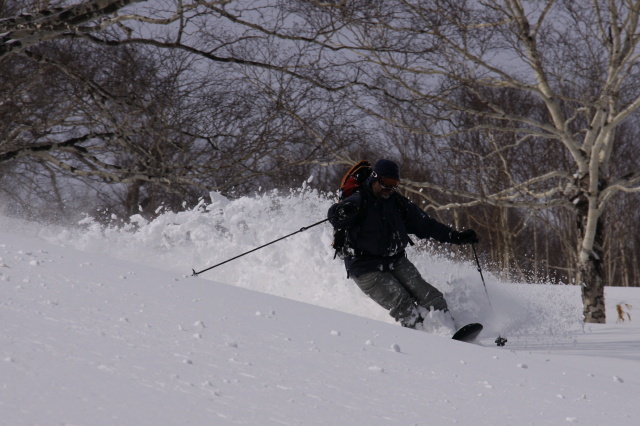 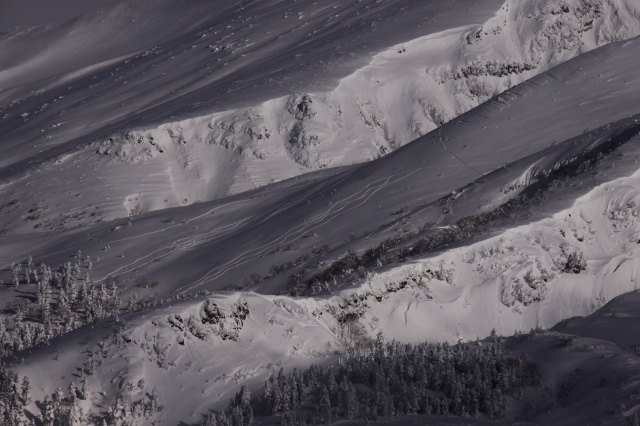 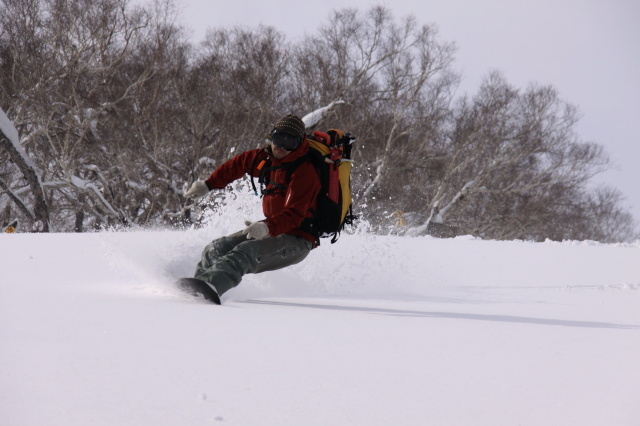 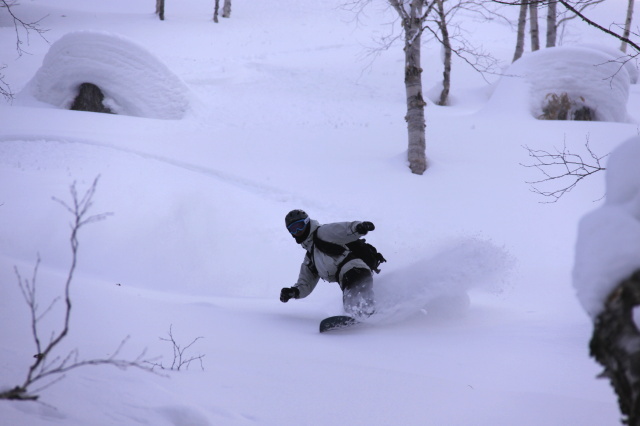 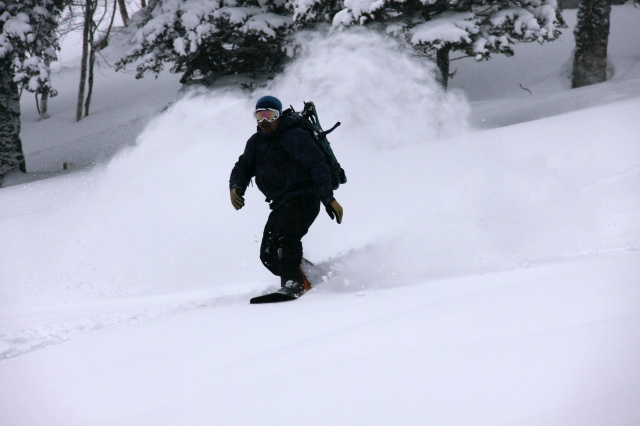 Hokkaido's powder has already known foreigner,But this area is stil a secret. 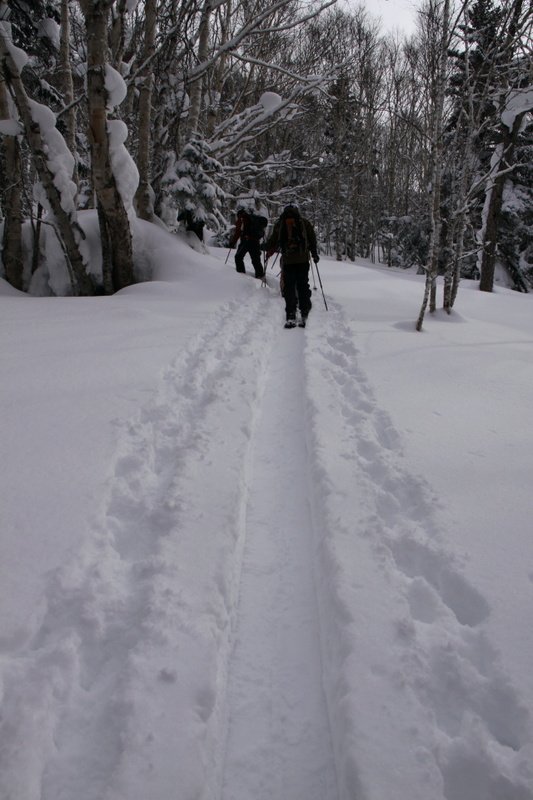 This Sevens Creek is snowmobile approaches, Other skier can not enter. 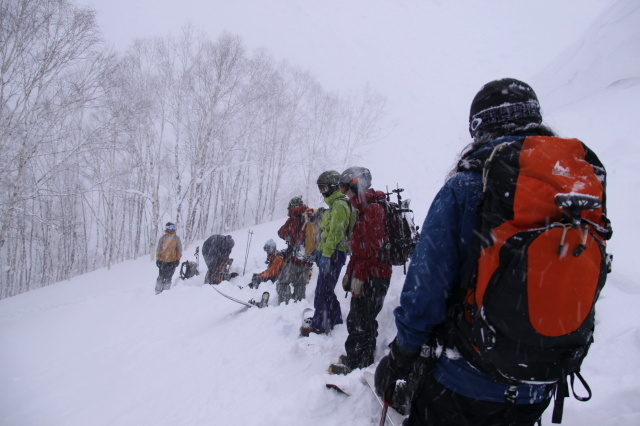 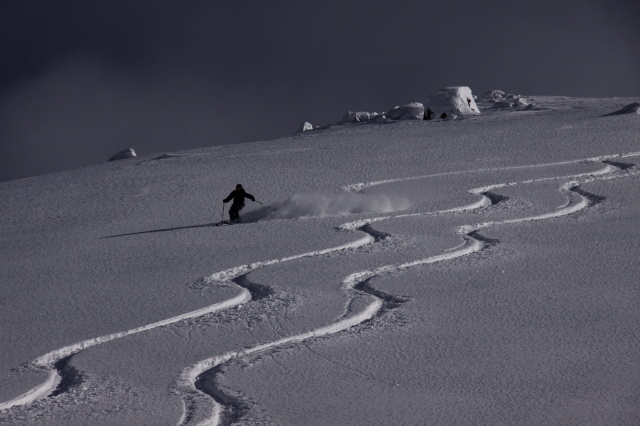 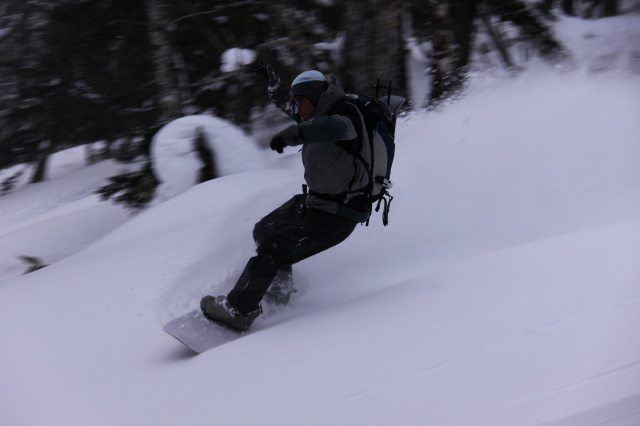 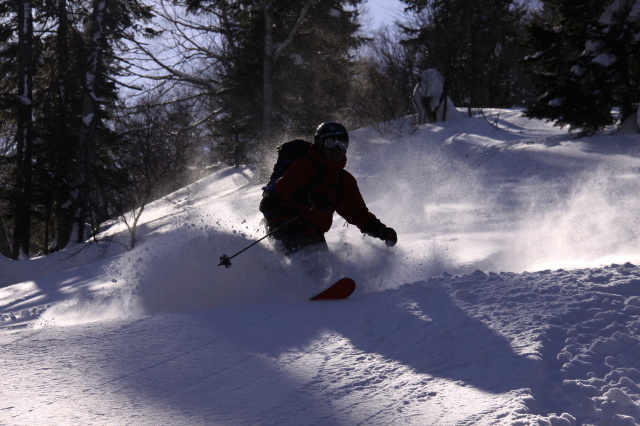 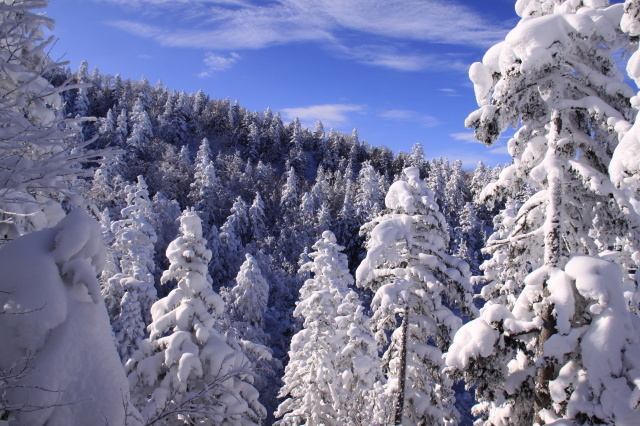 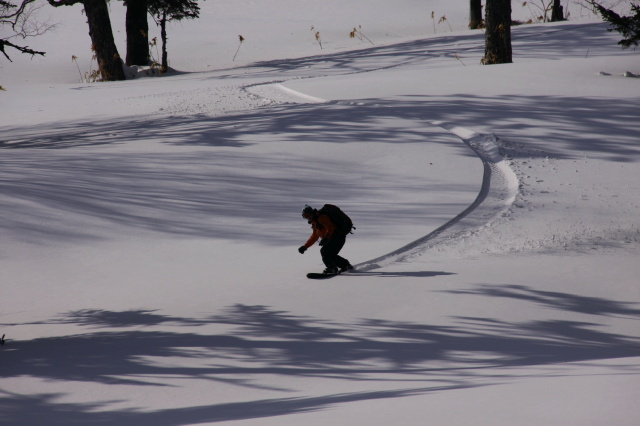 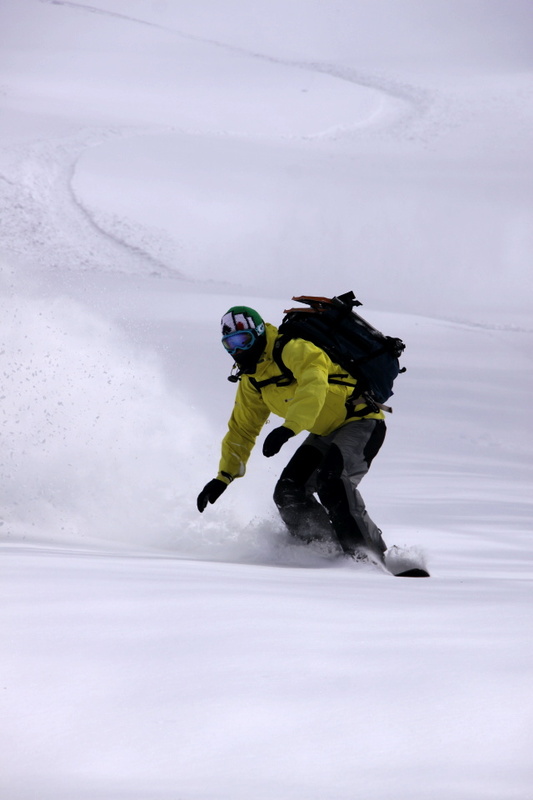 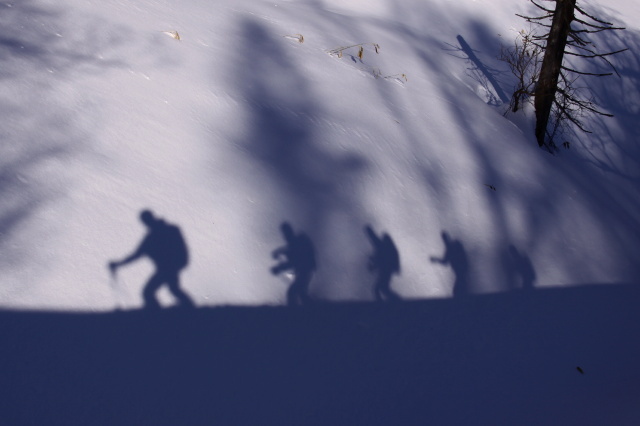 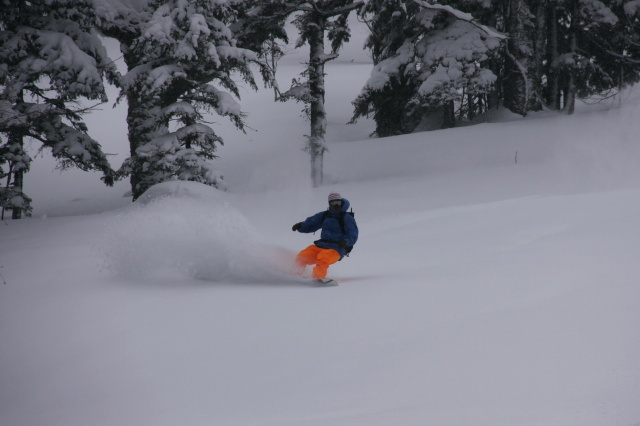 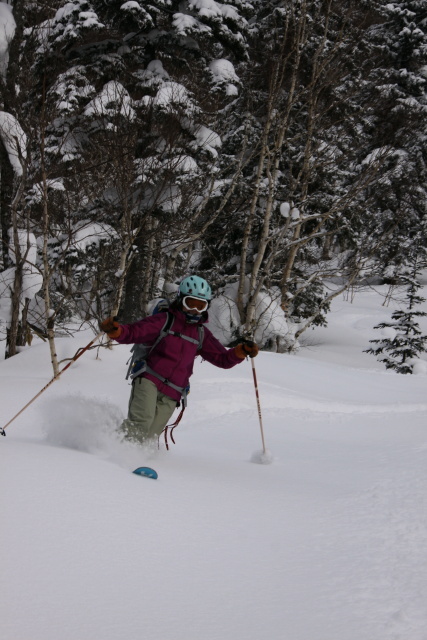 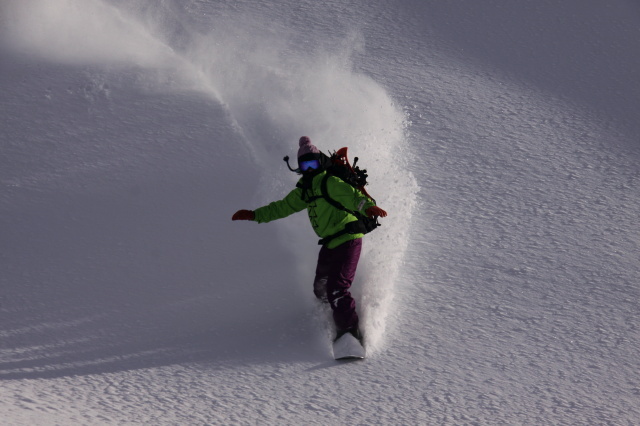 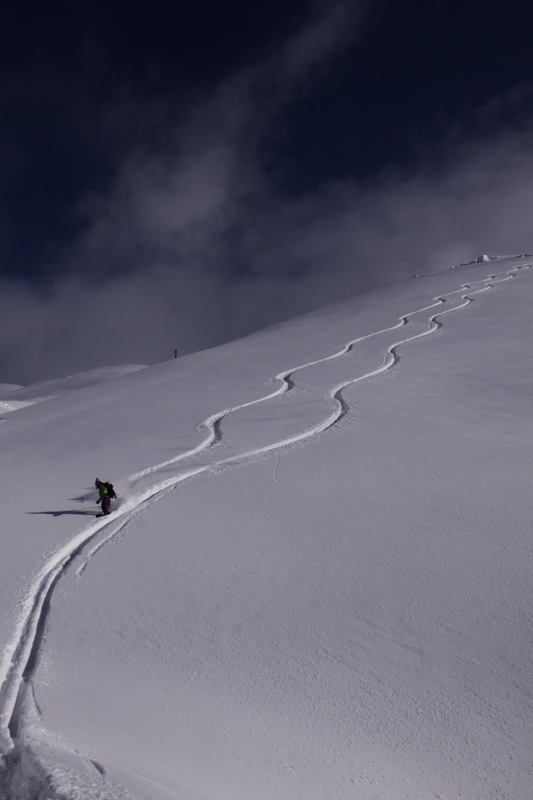 There is not crowded backcountry. 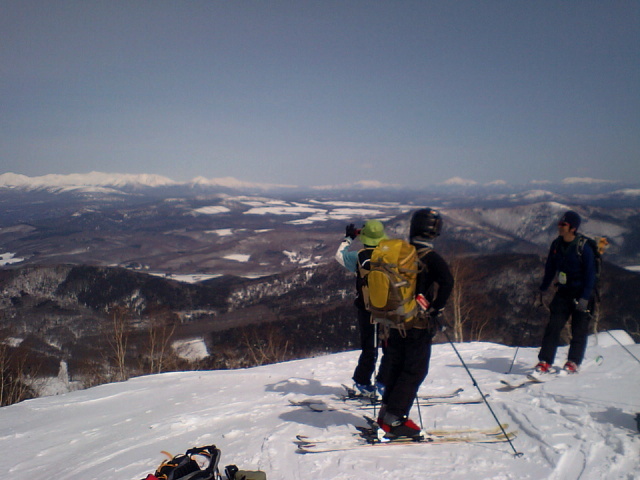 We are going to Mt.Furano. 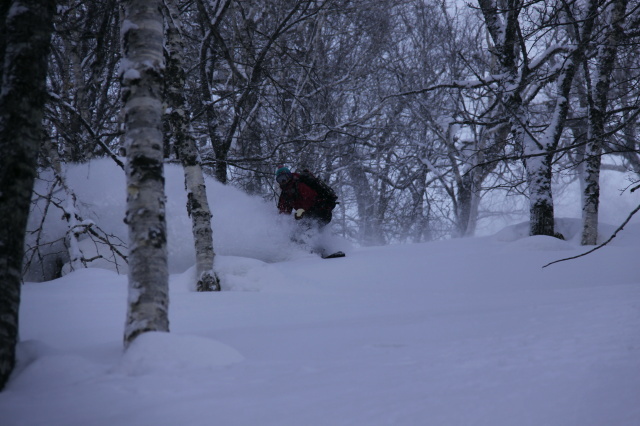 It was strong wind this morning at s-furano. 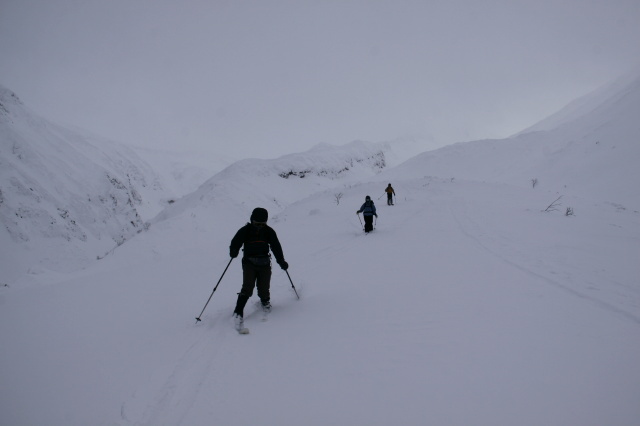 But When I arrived at the trailhead. 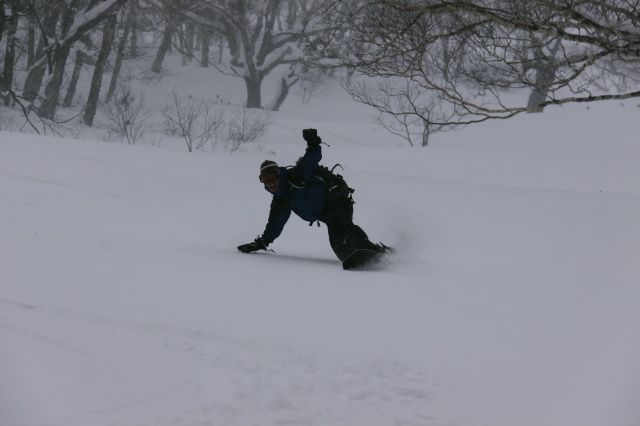 The wind had stopped. 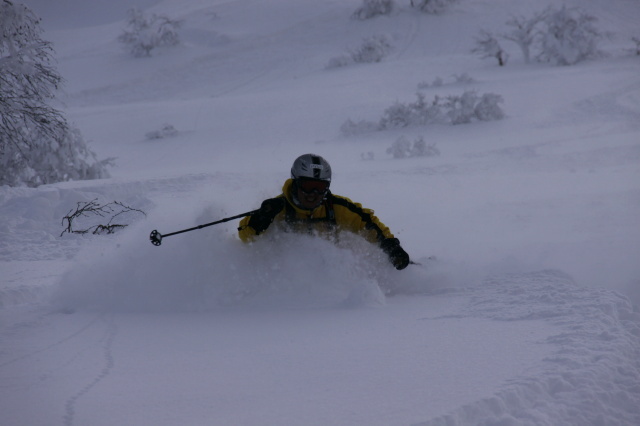 He came from Australia. 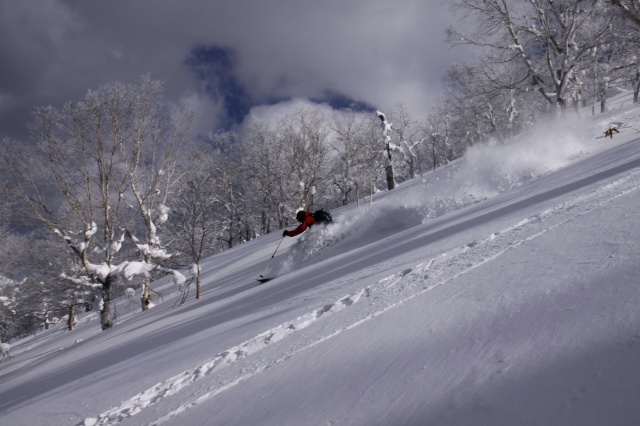 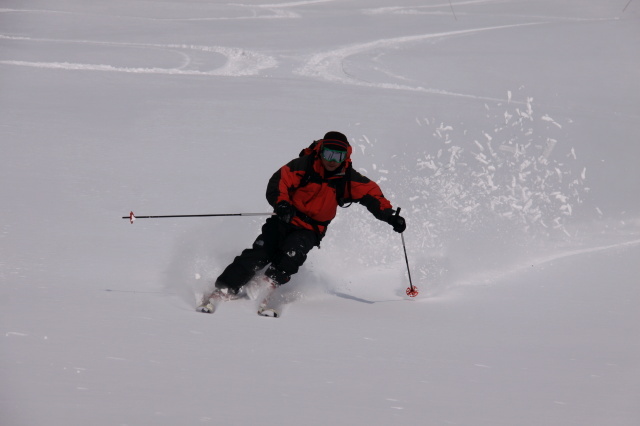 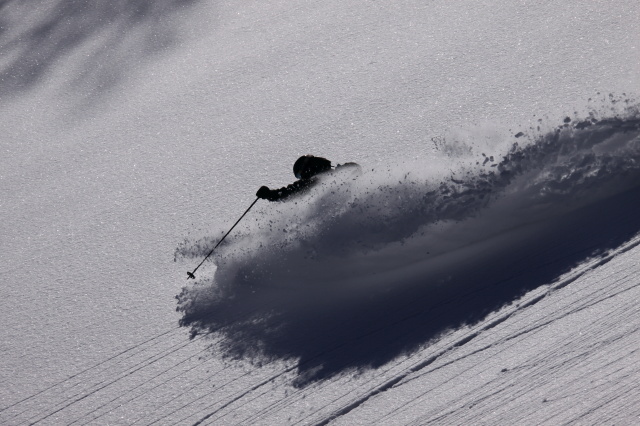 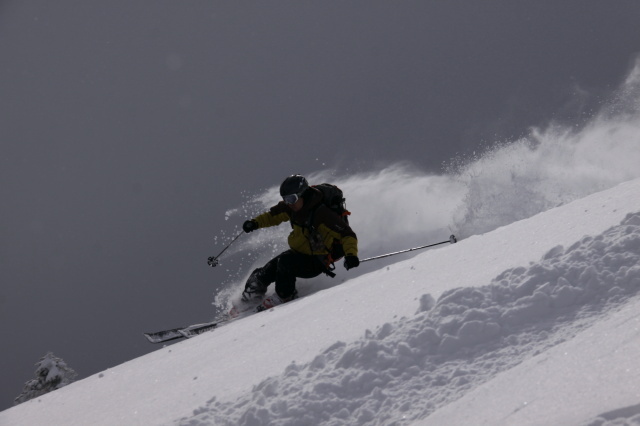 It's pure teleskier. 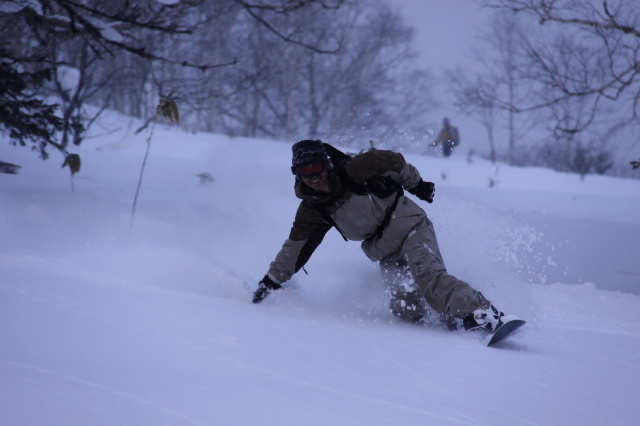 He came from Japan. 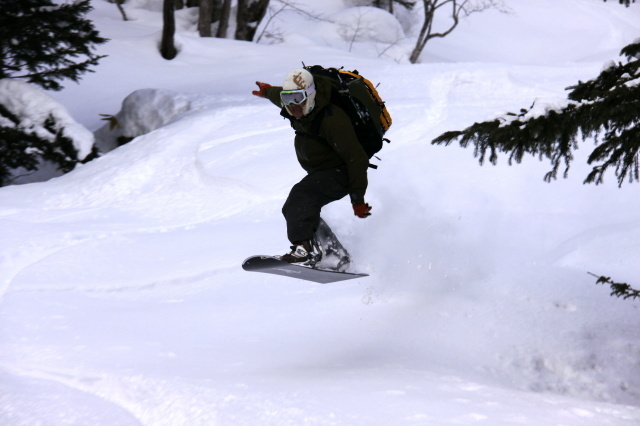 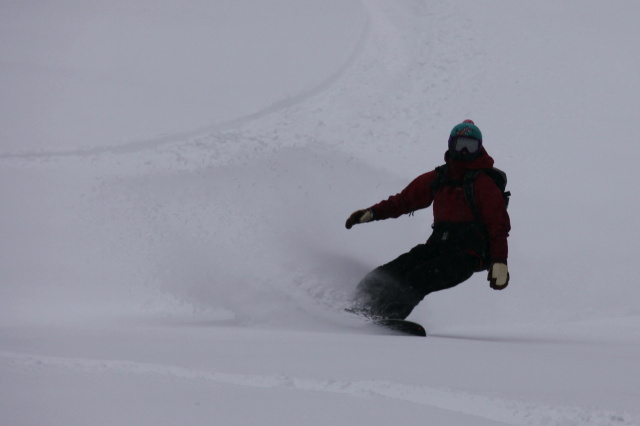 It's pure snowboarder. 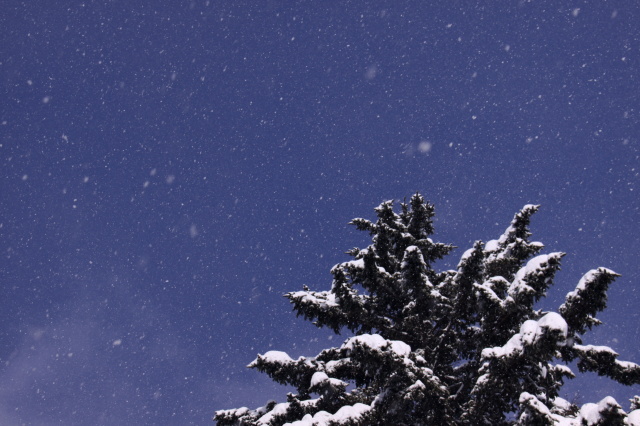 Birds of a feather flock.